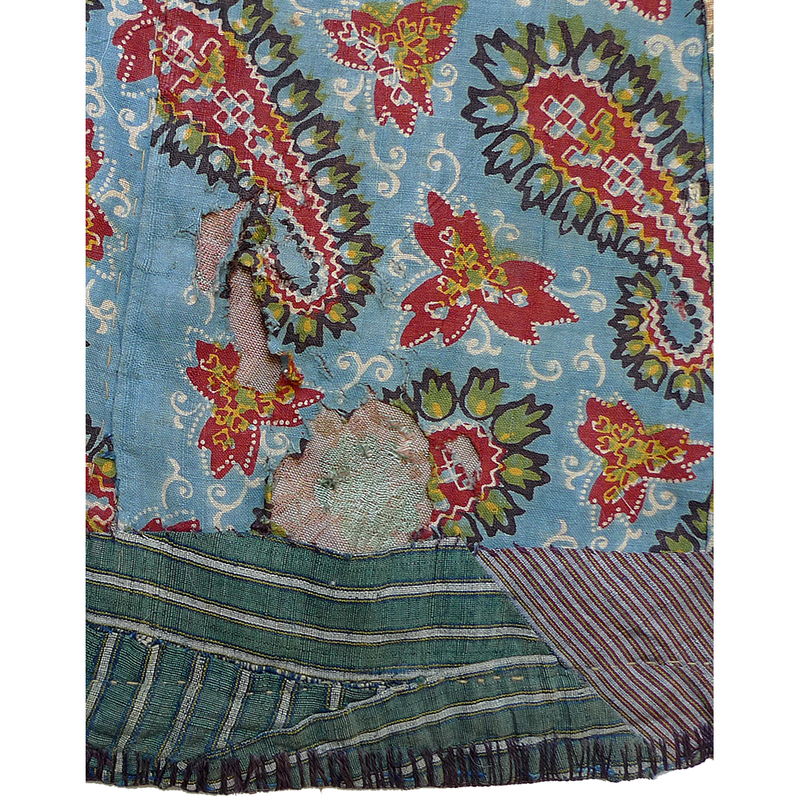 Fair to good condition – areas of discoloration in the brocade; two damaged areas in lining (see detail photos). 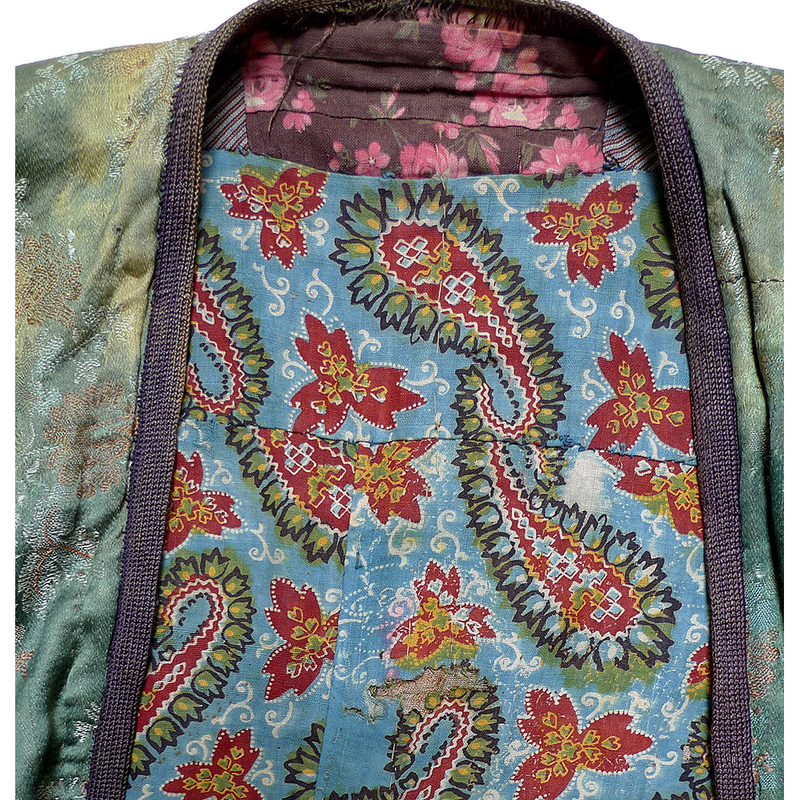 Otherwise all fabrics are strong. 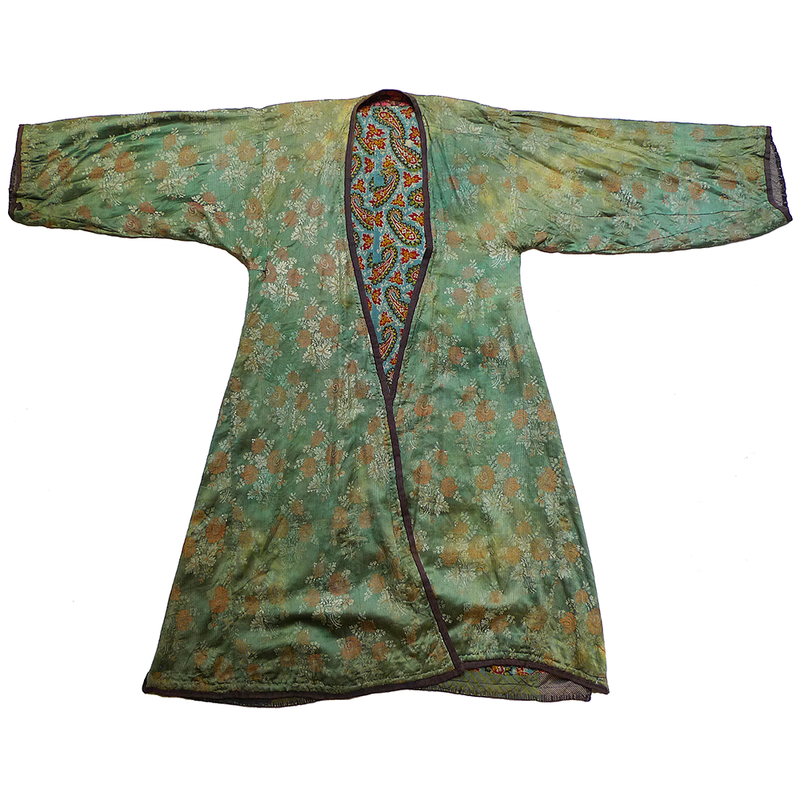 Imported silk brocade was an expensive fabric that only the well-to-do could afford to wear. 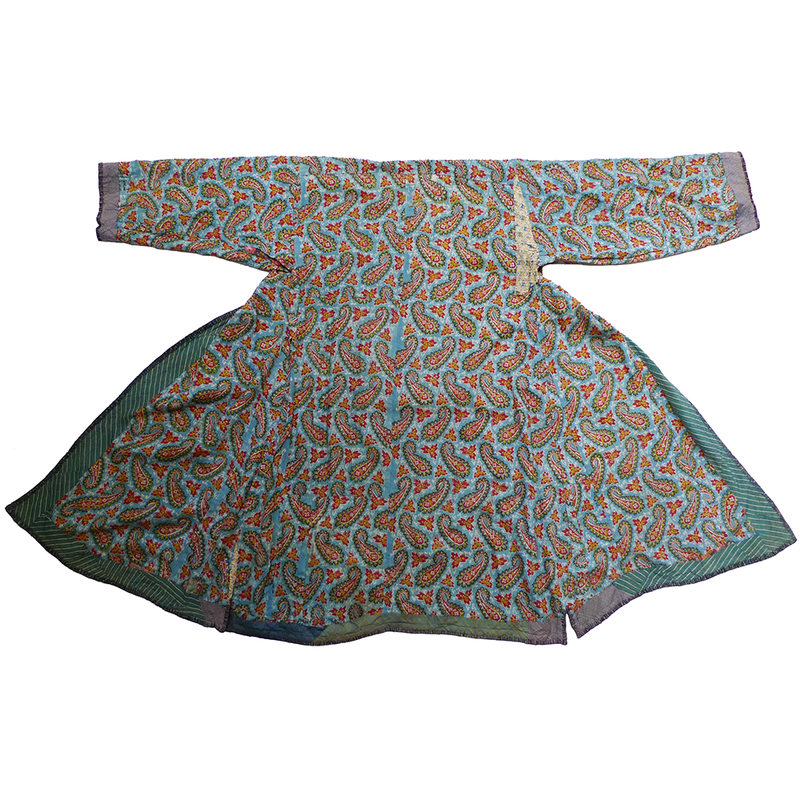 It was usually imported from Russia or the region of western China then known as Chinese Turkestan. 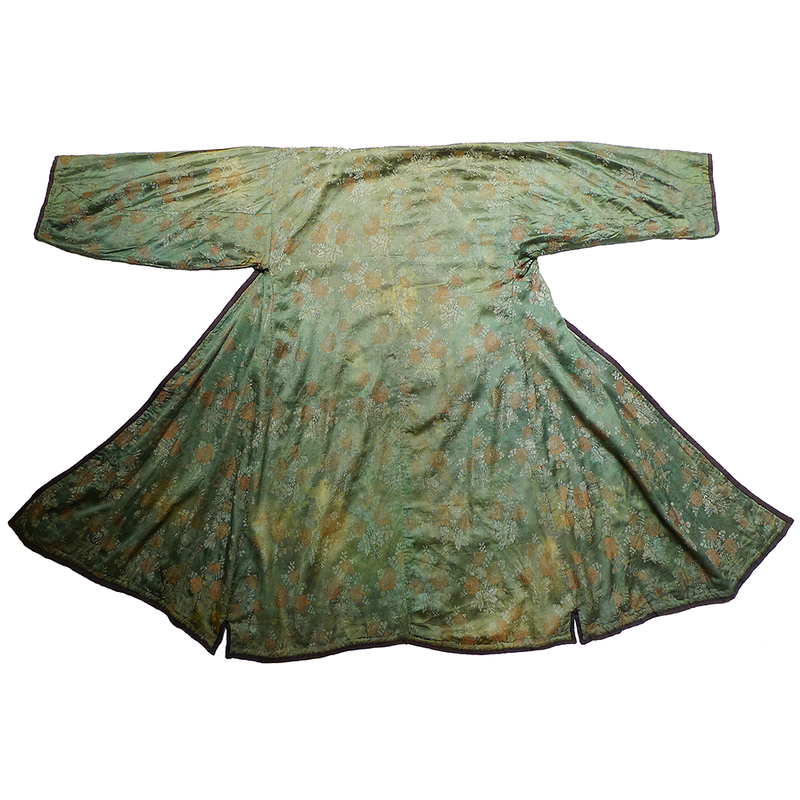 This robe was made from silk brocade probably woven in Kashgar. 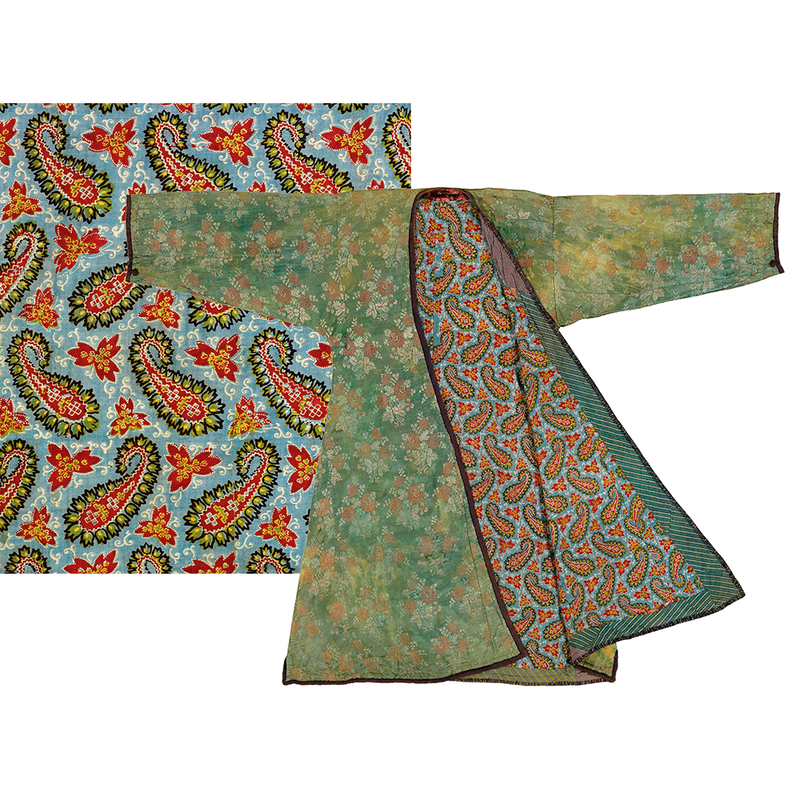 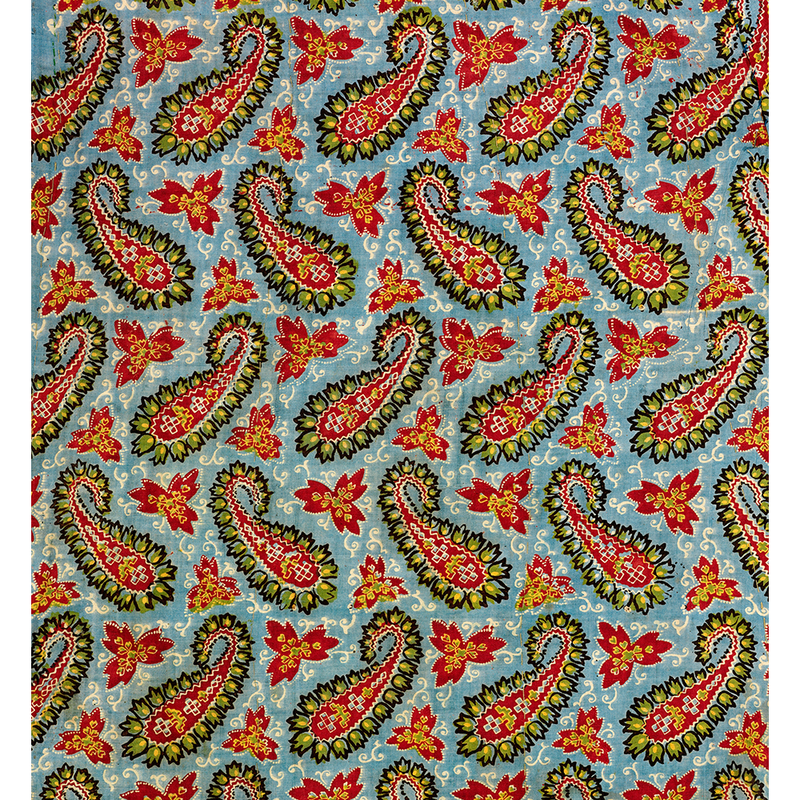 The Russian block-printed paisley cloth is a beautiful example, produced at a time when some Russian mills were still using wooden blocks, while more modernized mills had switched to copper roller-printing. 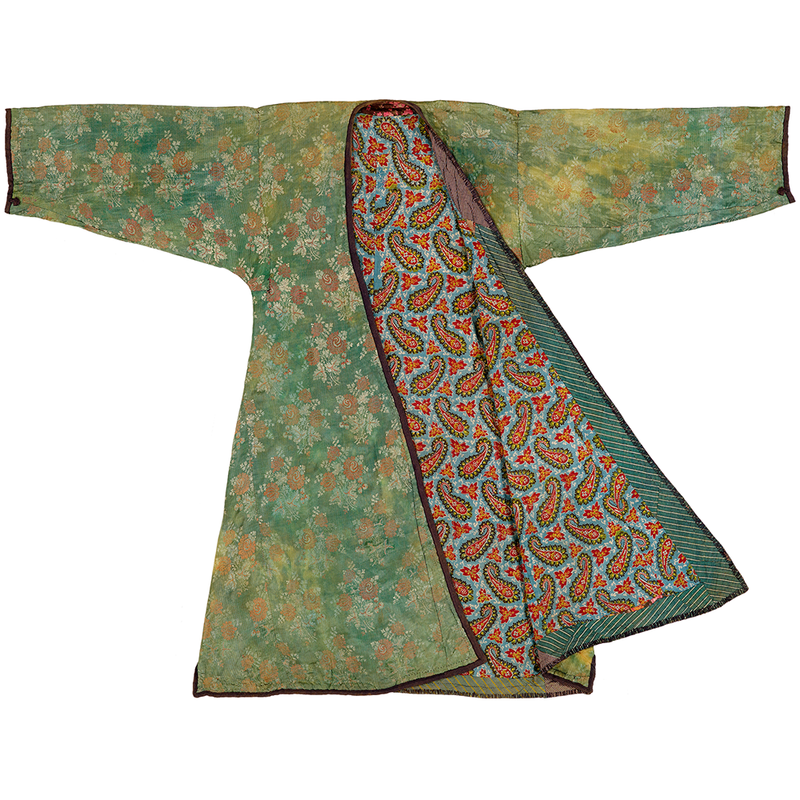 The green is a vivid as the day it was printed (it often faded away in sunlight) and was achieved by over-printing yellow on blue. 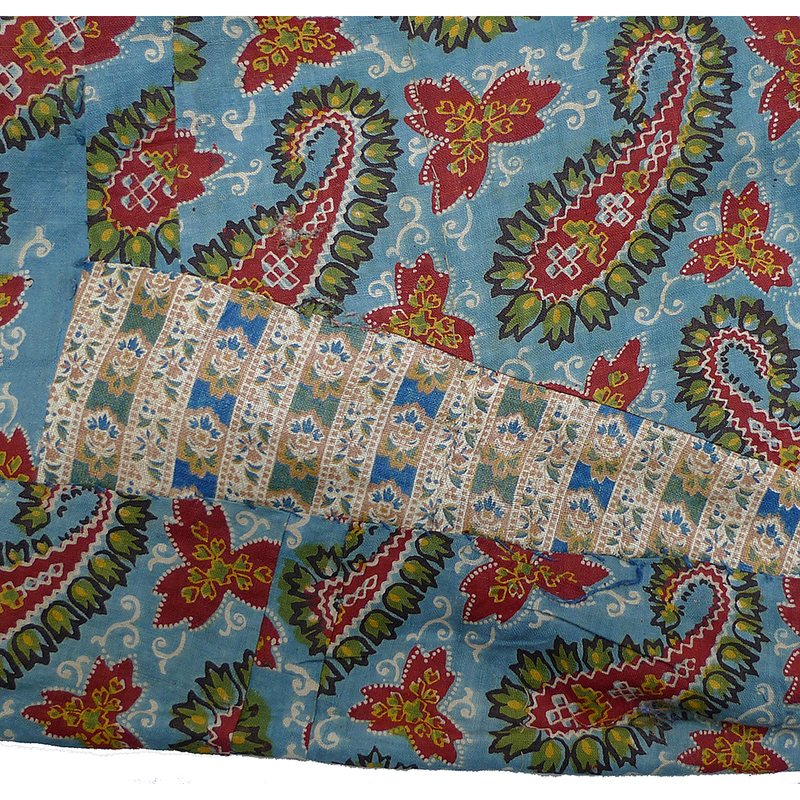 The faint outlines of the blocks can be seen. 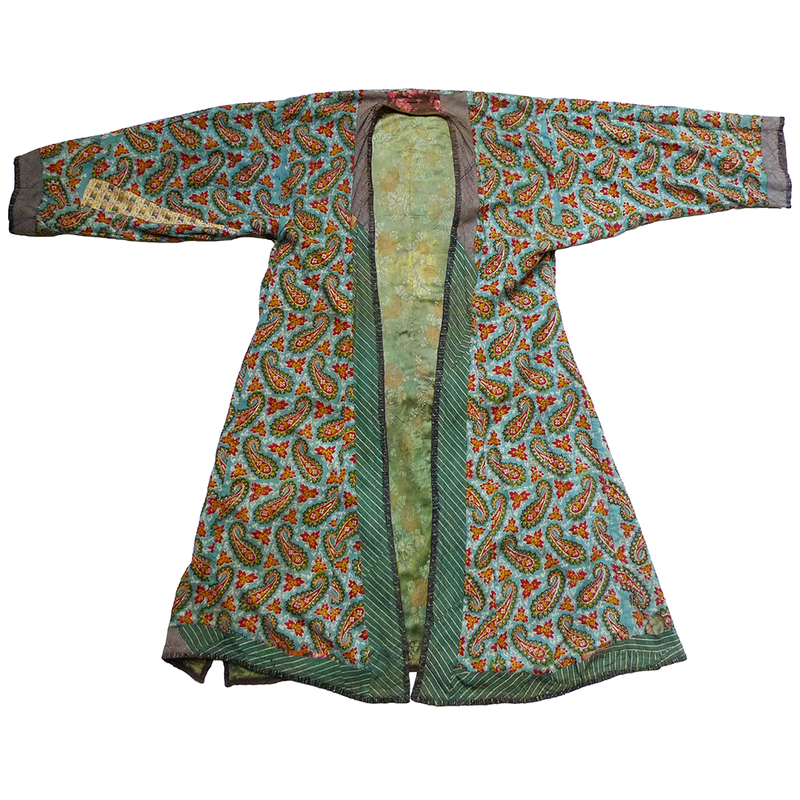 If you are interested in this brocade robe and would like more information please contact Susan Meller.